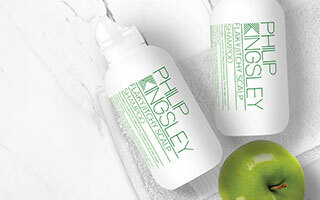 Written by Philip Kingsley trichologist, Ross Clubb. When choosing which type of hair colourant to use, it can sometimes be difficult to know which one, and how long it will last for. These temporarily change the colour of the hair and are easily washed out as the colour just settles on the hair surface. They do not need to be mixed with another component. This is one bottle to use on its own and does not need mixing with another component. 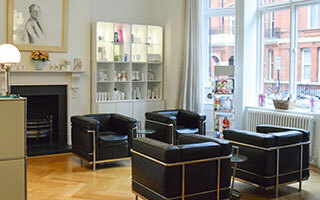 This will last between 6-10 washes as the colour settles within the cuticle scales of the hair. These are known as oxidative colours. 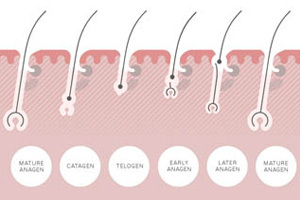 They are where at least two components, known as the colourant and the oxidiser (usually hydrogen peroxide) are mixed together immediately before use and give either a ‘tone on tone’ result (also known as demi-permanent) that lasts up to 24 washes or a oxidative colour that does not wash out. Tone on tone colourants can deepen or enhance colour but cannot lighten the original pigment. The reason for such good coverage is that the oxidising agent creates large colour molecules which are large enough to become trapped in the cortex pigment cells of the hair with the effects of being resistant to washing. They also add good coverage to white hair.